Cheeky Kid has been watching anime and reading manga for as long as he can remember. Doing so takes him to different worlds. “Toradora!” follows the goofy and unexpected relationship of the “delinquent-labeled” Ryuuji Takasu and the “Palmtop Tiger” Taiga Aisaka. It all started with an accidental discovery—both are in love with each other’s bestfriend! And so, an unanticipated alliance forms out-of-the-blue. Ryuuji must help Taiga with her lovelife and Taiga will help him as well. Sounds good enough? But, wait! As it turns out, the Ryuuji-Taiga pairing is actually as perfect as it is peculiar. Well, that’s life. You never really know what happens next. And with love added into the mix, things become even more complicated as well as memorable. To be honest, “Toradora!” can already be classified as a classic in the rom-com department of anime! And it truly never falls short of anything! It’s one of the best rom-com anime made in existence. And so, others follow! 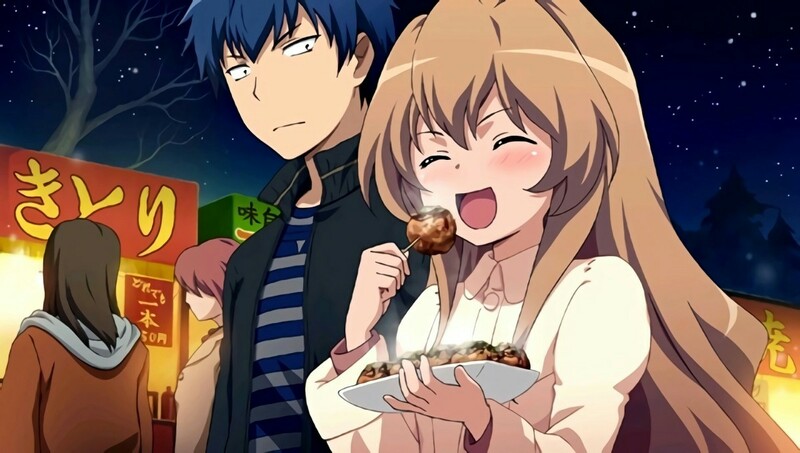 So, without further delay, here are more anime like “Toradora!” for you to catch and watch! I’m sure in one way or another, you’ll enjoy these as much as you did with “Toradora!” Now, get on watching! For a Japanese girl of her age, Risa Koizumi is rather tall. And for a Japanese boy of his age, Atsushi Ootani is ridiculously small. So, who would have thought that these two high school students would bond over their complexities, which encompasses height and romantic love? After going through similar experiences, Risa and Atsushi have become the best of friends. Well, sometimes, they’re also enemies! But the point is, the two of them seem to get along really well, which prompts people to find their friendship very comical. And as comical as things get for both of them, is there actually a chance for real love? Will the comical pairing transcend to something like—romantic couple? Well, this is all for Risa and Atsushi to decide! Louise Françoise Le Blanc de La Vallière and Saito Hiraga are in a very complicated relationship. One is the master, and the other is the slave. How did this all happen? Well, it’s all mainly Louise’s fault! Her “Louise the Zero” title caused it all! Louise’s magic summoned Saito from another world. And even though Louise is a failure in magic, her summoned creature—Saito—is a very peculiar one. For one, Saito is a human. Second, Saito is seemingly average through-and-through. Lastly, Saito possesses a strange mark on his hand—something believed to be of powerful origin. Despite everything, both Louise and Saito must abide by the contract! 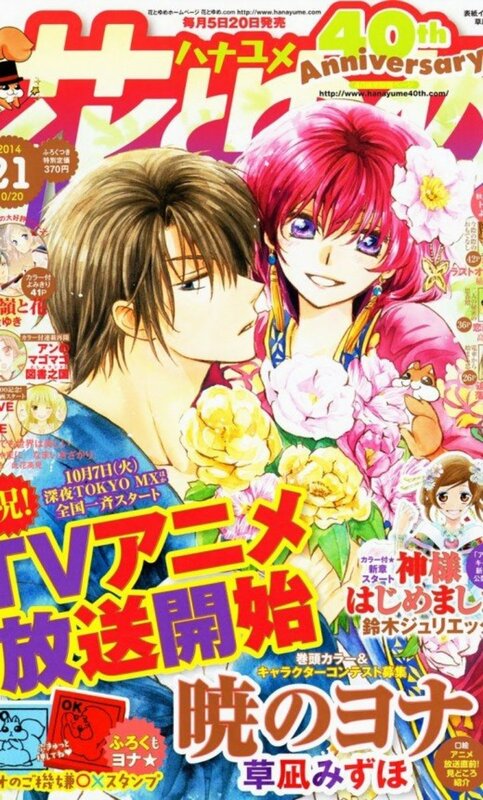 With Louise as the master and Saito as the familiar, just what kind of funky relationship will come out of this? 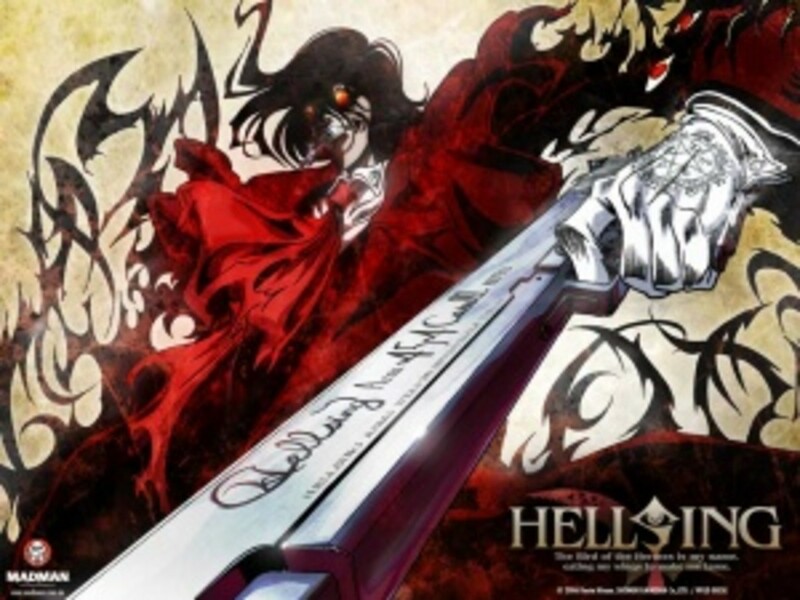 Although Misaki Ayuzawa displays a strict and feisty rule as the “Demon President” of the student council of her school, she has one weakness, a secret she never wants to get out. The secret? She serves as a maid in a maid café! If any word of this leaks out, all the respect and fear she has garnered from the student body will surely go down the drain! Unluckily for Misaki, the most popular boy in school—Usui Takumi—discovers her tightly kept secret. Her cover has been blown! Her life as a disciplinarian president is soon to end! But wait, Usui’s plan is not to usurp Misaki’s regime! He just likes Misaki, and discovering her secret is all but just the beginning. 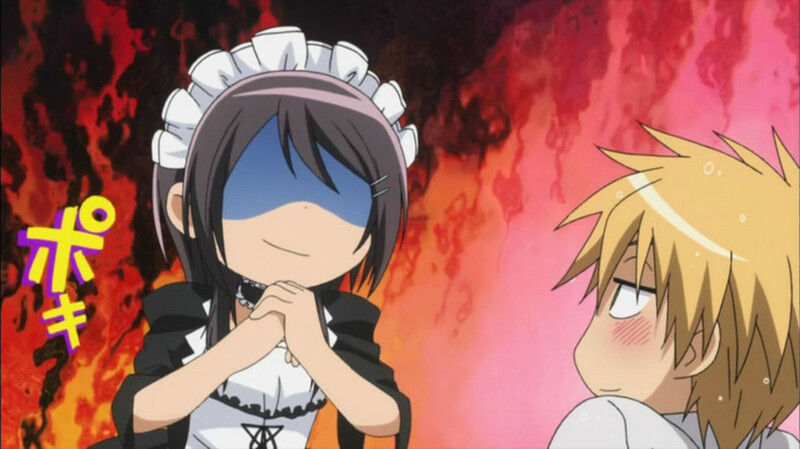 10 Anime Like "Kaichou wa Maid-sama!" 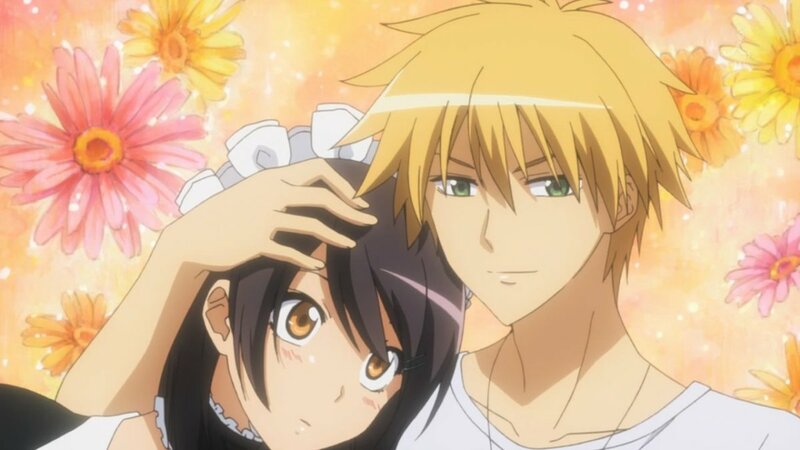 Looking for more anime similar to "Kaichou wa Maid-sama!"? Here you go! These are the anime like it, so sit back, enjoy, and fall in love! It’s time for Mashiro Duty! And the one who’s going to be responsible for the said duty is none other than—Sorata Kanda! He’s a perfect pick! Well, it always happens to him anyway, so there’s no helping it. After rescuing abandoned cats, Sorata was sent to Sakura Hall because it’s the only dormitory that would let his rescued cats live with him. Sakura Hall is a home for brilliant yet strange students, much to Sorata’s reluctance to live in it! But then, it happened! More surprises have come for Sorata. From cats, Sorata’s newest charge now is Mashiro Shiina—an art savant who knows nothing except her art. What’s with the sudden escalation? But Sorata has no choice, he has to accept! And from this decision will come—Sorata’s most unforgettable high school experience! 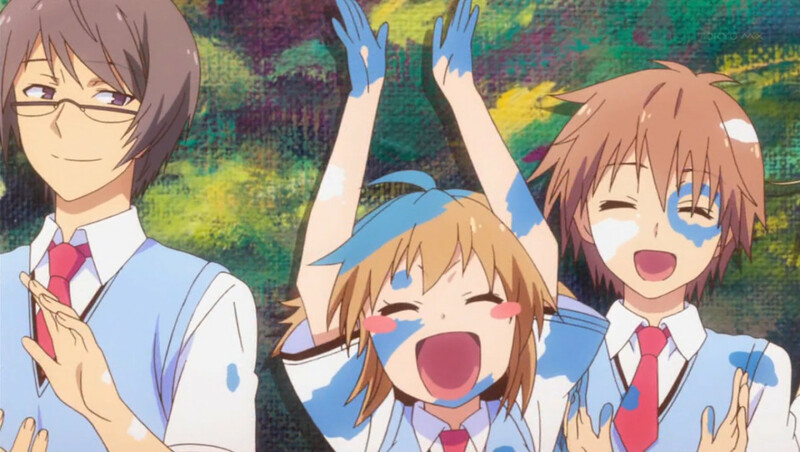 Haru Yoshida and Shizuku Mizutani are the most unlikely pair of them all! Though they share similarities in being socially awkward and aloof, they both actually know nothing about social etiquette and communal interaction. And if they don’t know about these things, how will they ever know about love?! 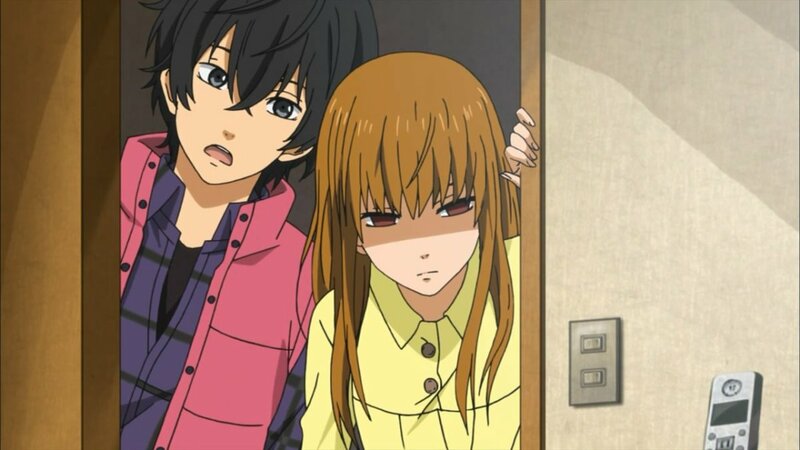 Well, love is love and Haru and Shizuku are both high school students in their teenage years. New feelings and emotions are sure to bud. And it’s all but just a matter of time! So, no matter how inept both are in social settings, something surely has to come out from their unintended friendship. When he was a kid, Raku Ichijou had a childhood sweetheart whom he promised to marry in the future. 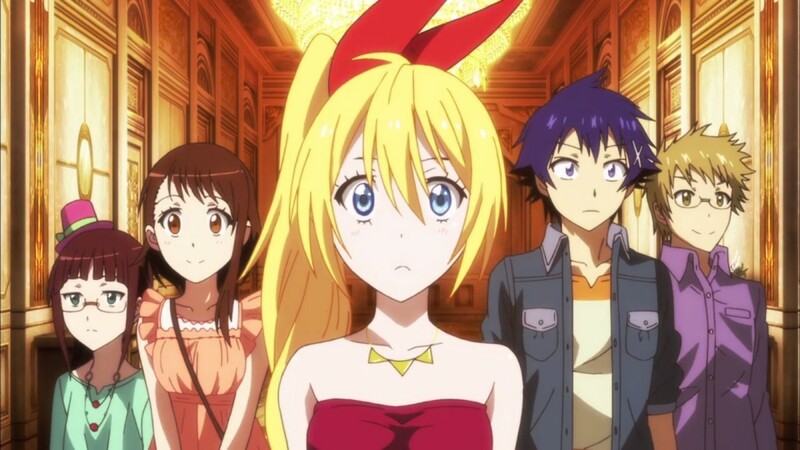 As proof of that promise, Raku kept a locket that can only be unlocked by the key possessed by the girl. Fast forward into the future, Raku is already in high school, and the promise he made as a kid—well, the locket has become the only reminder of that moment. Although the identity of his childhood sweetheart has become shrouded in mystery, one proof still exists—the key! But everything aside, Raku’s life is a mess already! His family status, his current crush, the girl that made him experience hate-at-first-sight, and his student life—Raku’s got his hands full already! Add the locket-and-key mystery in, and boom—an intense roller-coaster ride has begun for Raku! 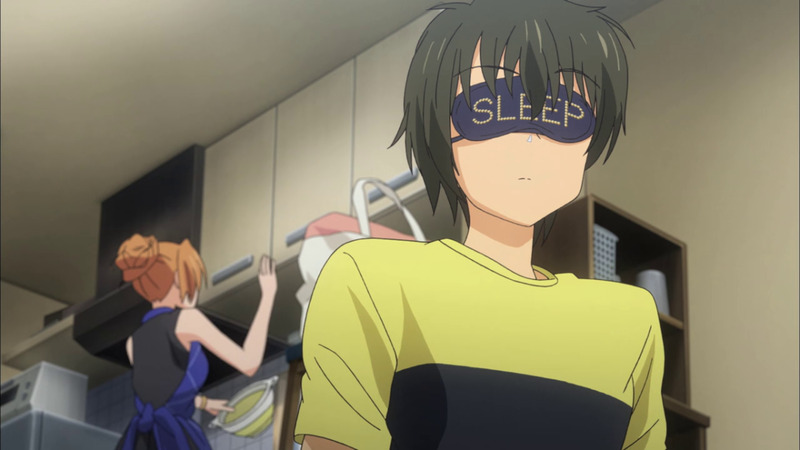 Tada Banri has already had enough rough times in his life. He got into an accident. Then, he got hit by amnesia. And now, he doesn’t remember anything about his life and personality. So, the only choice he has to make now is—to start anew! Banri moved to Tokyo to study law and begin a fresh new life for himself. And so, it happened—he bumped into the girl who would change his life forever! Things have finally started to look good for Banri. But, until when would every good thing last? What about his memories, would they ever come back? Are there still things in his past that are capable of haunting him? Well, Banri has no choice but to persevere and let love take care of everything. 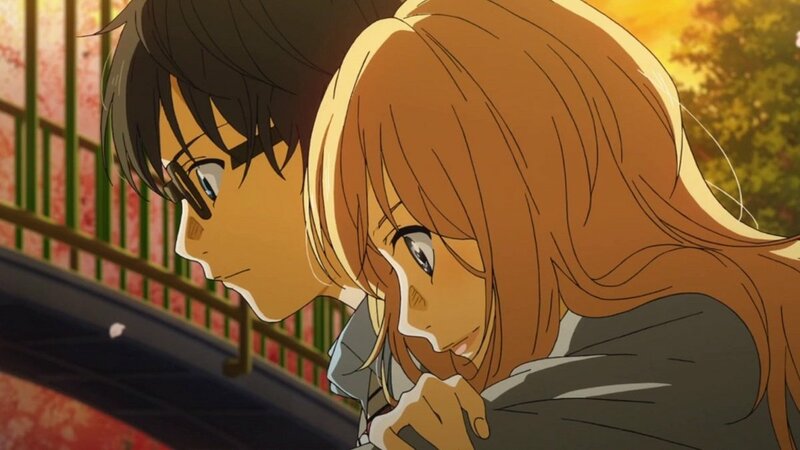 If you just love anime that expresses a lot feelings, emotions, and drama (especially regarding school life and young love), then here are the anime like Golden Time for you to watch! 8. Chuunibyou demo Koi ga Shitai! Yuuta Togashi and Rikka Takanashi are a perfect couple! Why? It’s because they both have “Chuunibyou” or “Middle School Syndrome” where Yuuta poses as the “Dark Flame Master” and Rikka poses as the “Wicked Eye”. There’s only one problem though, Yuuta is all over with it! Yuuta had transferred to a faraway school because he wanted to completely erase his embarrassing past. 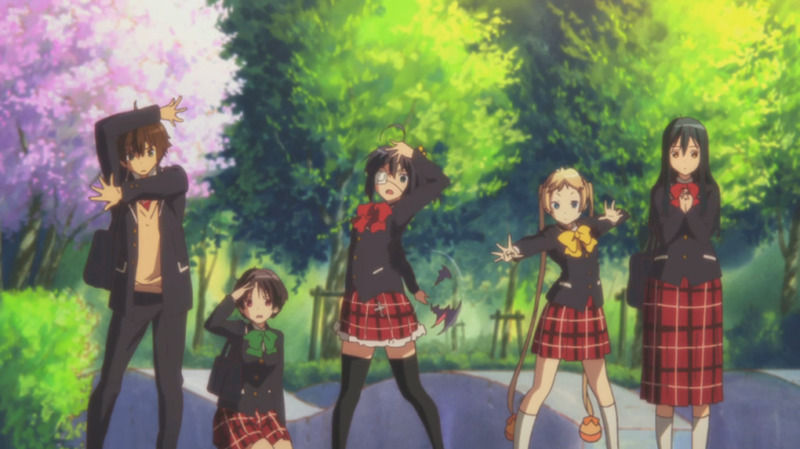 But then, Rikka had to show up! And so, Yuuta’s new hopes and dreams instantly crumbled away. But then, this is all just yet but another beginning. There’s no escaping the past as it’s necessary for the future. The Wicked Eye sees it all! The “Dark Flame Master” and the “Wicked Eye” will never cease to exist! 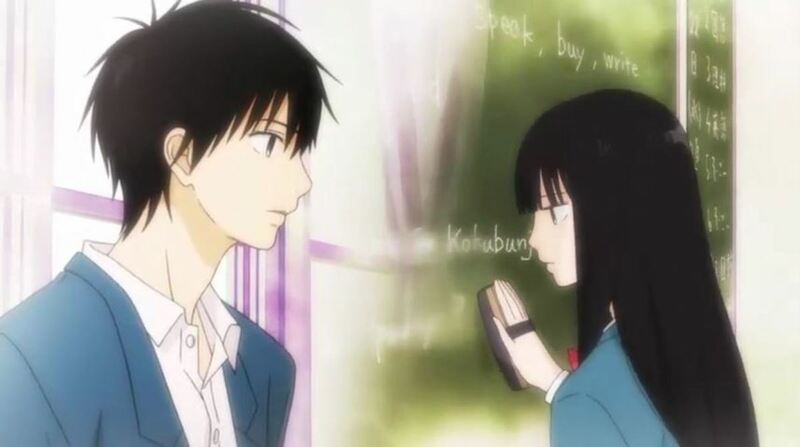 Sawako Kuronuma is an eerie high school girl who’s always timid, aloof, and misunderstood. As such, she has the title “Sadako” from “The Ring” movie to represent her as a whole. Because of this, despite her being sweet and innocent, she has become a person to be feared and avoided. Due to the unfortunate circumstance Sawako is in, she has become hopeless and despondent. But then, one day, a ray of sunshine hit her. A boy named Kazehaya Shouta—who happens to be a popular guy in her class—suddenly talked to her! What in the world is happening? Is Shouta the one? Will he be the one to drag her from the darkness and ultimately save her? 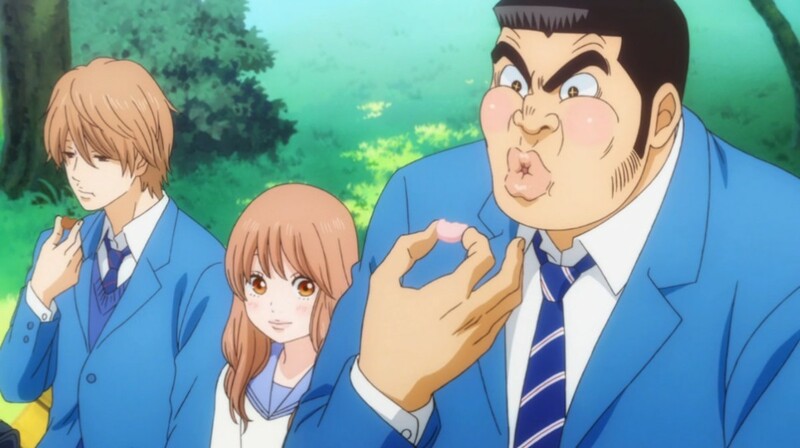 Takeo Gouda is a high school student of tall height, muscular build, and a somewhat unattractive face! But even though he’s not the attractive-type, he definitely possesses a heart of gold. On the other hand, Takeo’s bestfriend—Makoto Sunakawa—is a bishounen—one who’s totally handsome and attractive! All the girls Takeo falls in love with, eventually falls for Makoto. Such a brutal life for Takeo, huh? But he doesn’t let any of it get the better him! One day, Takeo saves a girl named Rinko Yamato from being molested. Is this it? Is this another chance in love? Well, Takeo is about learn what Rinko has to offer in his life. What are you going to watch next?